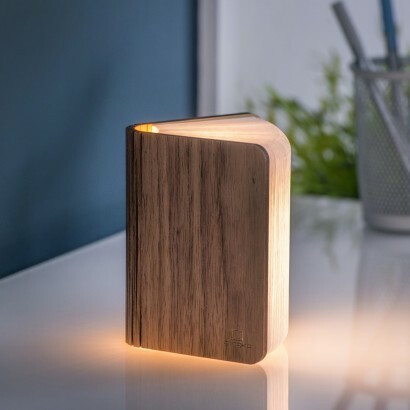 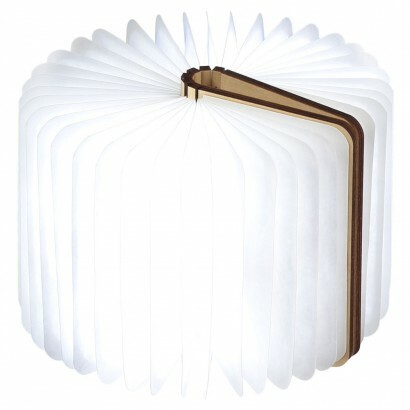 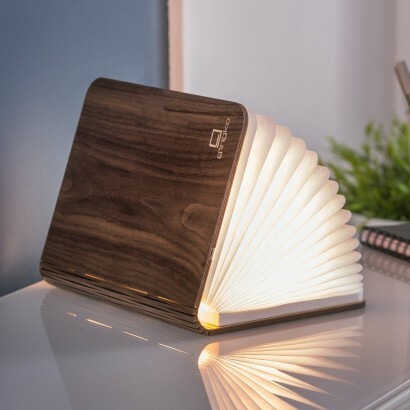 Stylish and luxurious with a walnut cover, Gingko smart books are like no other as they open up to illuminate your space with soft warm white light. 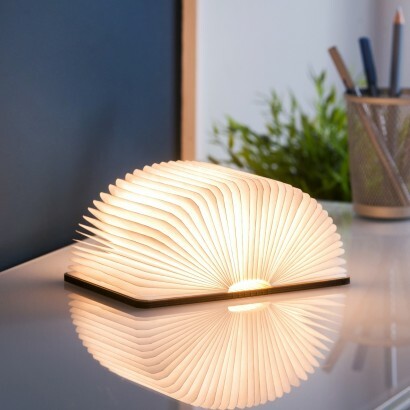 Available in large or mini, these laser cut books contain tear proof, water resistant soft white pages that shine with a delicate glow. 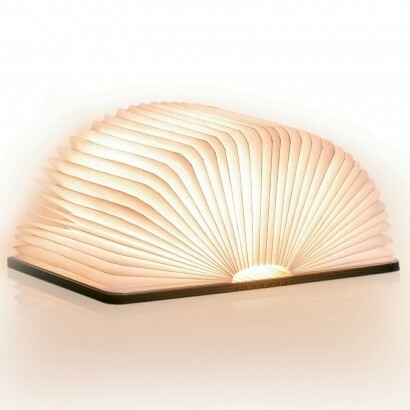 Display standing on it's edge, for softer light effects, open to 180 degrees for a sculptural display or even fold back the cover and secure using clever hidden magnets to hold for 360 degrees of light. 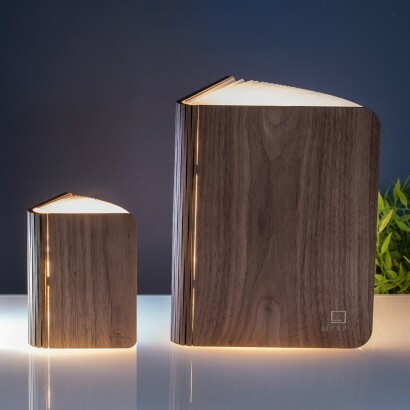 Rechargeable, these captivating books can be placed anywhere without the need for a mains connection staying lit for up to ten hours continuous use from a single charge.